I completely disagree. Knowledge is the most important thing we have. A tool doesn’t make you a better designer. Knowledge and understanding of design does. No amount of features in a design tool will make your design work more effective. You may become more efficient but the actual quality of design work won’t change, unless you improve your design knowledge. People like to think tools are the answer to becoming a better designer because it’s much easier to start using a new tool than to learn what makes great design truly great. That’s why experts constantly get asked what tools they use but in reality they can produce the same quality of work with any design tool. Their knowledge and experience gives them their expert status, not the tools they use. Your tools DO NOT affect the quality of your work. The less time and effort you spend worrying about your tools the more time and effort you can spend creating great design. The right tools just makes it easier, faster or more convenient for you to get the results you need. Knowledge is the real power to great design. 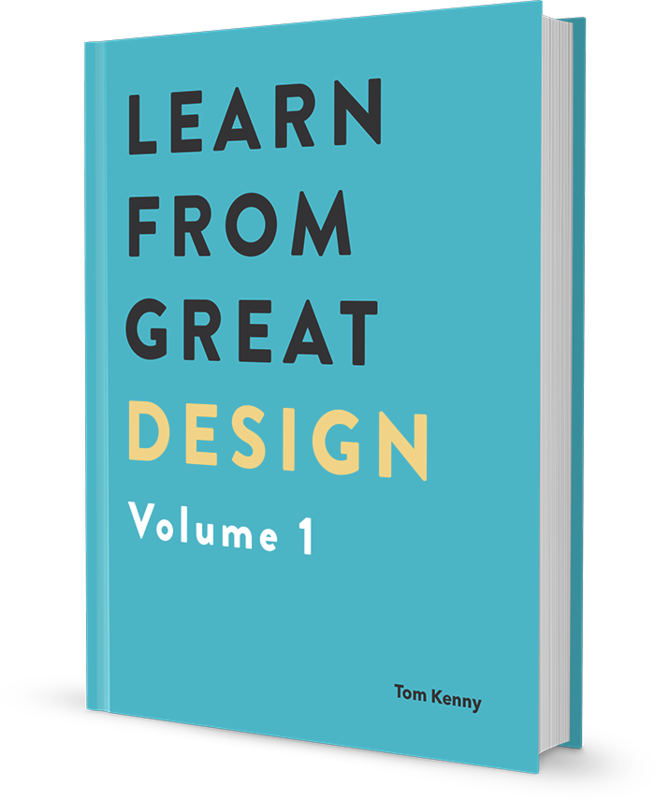 And knowledge is exactly what you’ll gain from my book, Learn from Great Design Volume 1. I teach you what makes great design from great websites with hours and hours of studies done for you, so you can take that knowledge and make great websites yourself, no matter what tool you use. Learn more about the book and get your copy today.